Data is today's most effective competitive weapon. But how does an organization make the best use of data, and what is the proper role of IT? 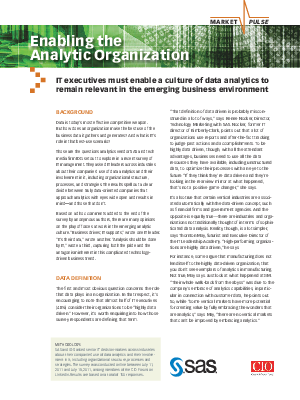 Based on insights from IT leaders about their companies' use of data analytics and their involvement in it, this paper describes how organizations can foster a culture of data analytics that promotes cooperation and collaboration between IT and business.